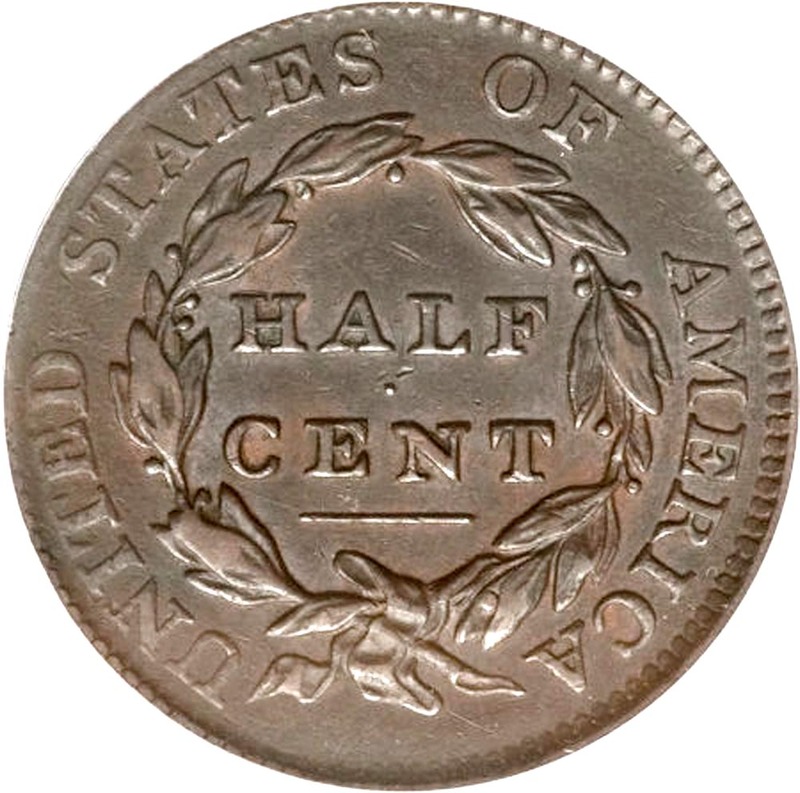 Never a widely used coin before, by 1811 the half cent was deemed a failure. 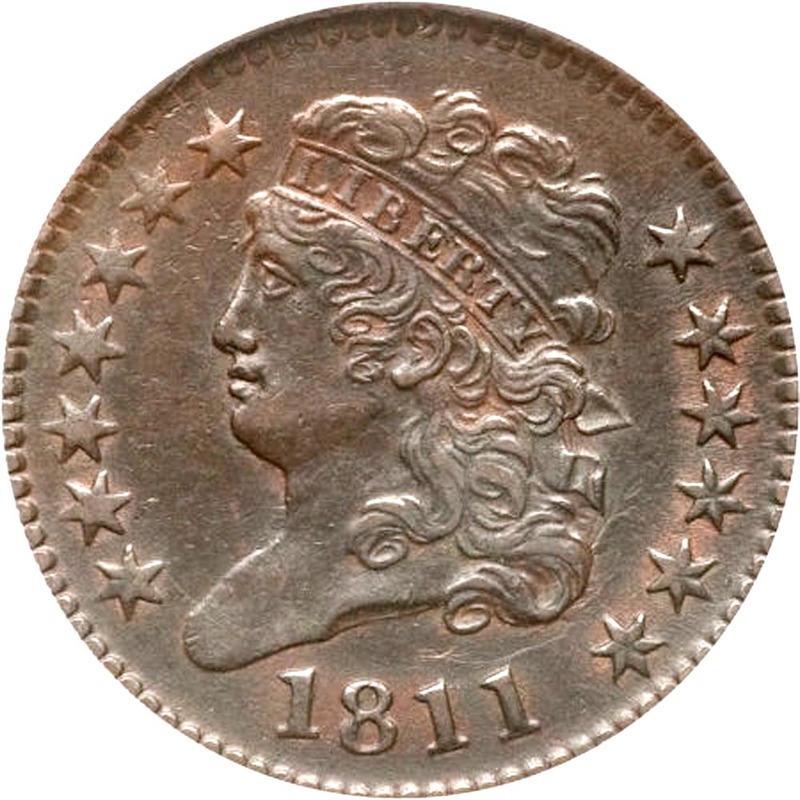 A mere 63,140 pieces were coined that year from two die marriages before production was suspended until 1825. 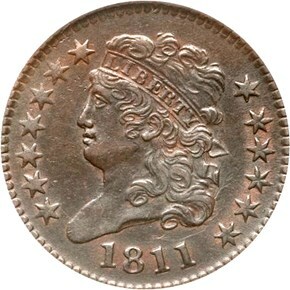 Both varieties are scarce, with high grade examples being nearly non-existent. 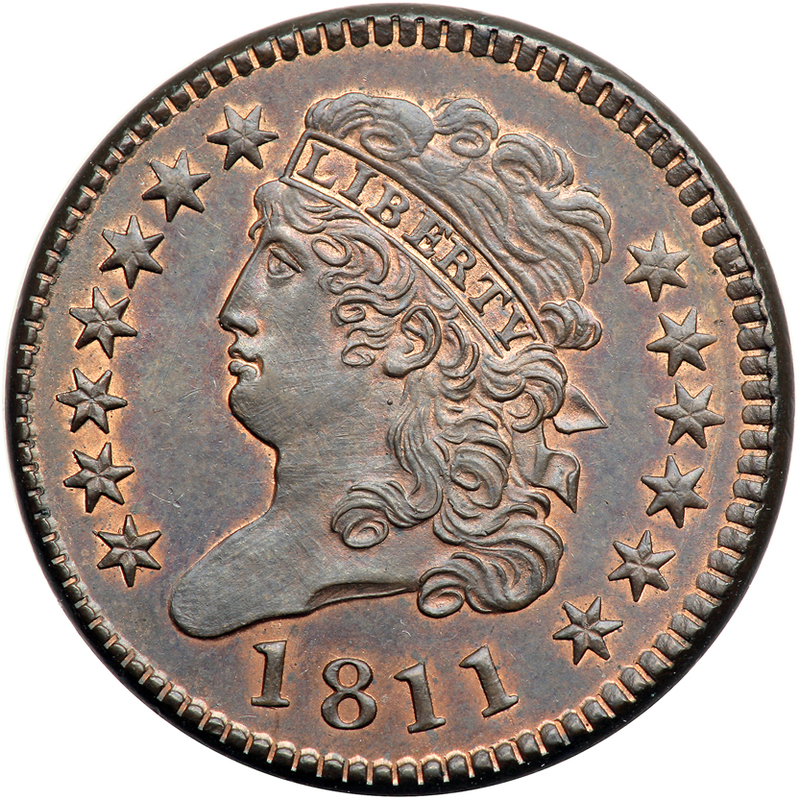 Cohen-1 is the scarcer of the two, but most of the price pressure for 1811 is on the date alone, with few collectors seeking both varieties.